Our technical staff of engineers, scientists, and technicians combine years of experience, a broad knowledge base, and a command of the craft involved in producing precision interference filters. We employ several thin-film filter design and modeling computer programs, including commercial and proprietary software customized for our specific deposition processes. Of our numerous coating systems, we have the capability for coating a full range of optical coating materials. We achieve physical vapor deposition (PVD) with or without ion assisted deposition (IAD) of refractory oxides, as well as thermal evaporation of metal salts and metal alloys. All of our coating systems have been designed to enhance our proprietary coating processes. Our glass fabrication shop is equipped with diamond-tooled machines including CNC drills, shapers, and saws, along with cylindrical grinders and Mildex surfacers. Our Machine shop provides rapid cycle prototyping as well as high speed manufacturing of filter mounting hardware. We are capable of providing a complete range of spectrophotometric measurements using a large number of spectrophotometers, including instruments from Varian-Cary and Perkin-Elmer. 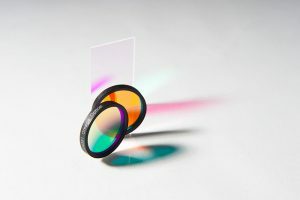 We offer traceable transmission, reflectivity, and optical density measurements in the UV to Near IR spectral region, and can provide independent measurements of optical density traceable to OD 3, reliable to OD 6. Lap & Polish equipment manufactured by SPEEDFAM. State-of-the-art flat optic surfacing capability; SPEEDFAM 16B-5 lapper and SPEEDFAM 16B-5 double-sided polisher. These machines have the ability to quickly process large quantities of optical glass with high precision. SPEEDFAM 16B-5s provide the ultimate control of flatness, parallelism and transmitted wave-front distortion of flat optics. In addition, our optical capabilities include spindle, double planetary and high-speed polishers. Transmitted wave-front (TWF) is measured at any wavelength from 400nm to 1.2 microns on a Broadband Achromatic Twyman-Green (BAT) interferometer. Flatness is measured with certified optical flats. Our fully equipped machine shop has the capability of producing jigs and fixtures along with a variety of custom filter rings, wheels, and holders. Filter components are cleaned ultrasonically and assembled under laminar flow hoods. We stock nearly all required glasses for manufacturing. Filters are tested and evaluated throughout manufacturing. 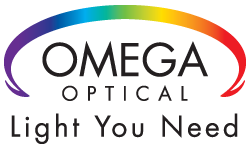 Spectrophotometers and optical measuring instruments are tested, controlled, calibrated and maintained to meet the requirements of our Quality System.